The politics of identity and location are inexplicably tied to the ways in which space and the self are mutually constitutive. The self as a site, is one of continuous splitting, doubling, and grafting, of histories, markings, and vulnerabilities. In this exhibition of new photographs and small sculptural works, artist Clare Yow focuses on the mobile and malleable body as material for interrogating personal, political lived experience. Togetherness-in-difference is an imperative issue for 21st century cultural and identity politics. Holding a doubled relationship or dual loyalty to the idea of places, is for Clare, at once invigorating and troubling, rewarding and tiring. Clare Yow is a Vancouver-based artist, holding a Master in Fine Arts in Visual Art from the University of British Columbia and an Honours Bachelor of Fine Arts in Photographic Studies from Ryerson University. Her art practice is foregrounded in the everyday and seemingly unremarkable as subject matter, material and process. With ongoing interests that lie in navigating what it means to be located within the triple bind, hyphenated existence, and imaginary homeland of Chinese-Canadian femininity, Clare’s work seeks to explore how conditions of in-between-ness come to exist in relation to her particular subjectivities. It is of note that Clare was born in Singapore 100 years after the Chinese Immigration Act of 1885, and that on Canada Day this year, it was 90 years ago that the Chinese Exclusion Act first came into effect. For more works, please visit clareyow.com. *These are some books that helped guide Clare’s research and work. On not speaking Chinese : living between Asia and the West / Ien Ang. Art on my mind : visual politics / bell hooks. Woman, native, other : writing postcoloniality and feminism / Trinh T. Minh-ha. Race, space, and the law : unmapping a white settler society / edited by Sherene H. Razack. Displacement, diaspora, and geographies of identity / edited by Smadar Lavie and Ted Swedenburg. Mappings : feminism and the cultural geographies of encounter / Susan Stanford Friedman. China, transnational visuality, global postmodernity / Sheldon H. Lu. Black skin, white masks / Frantz Fanon ; translated from French by Richard Philcox. Black looks : race and representation / bell hooks. The writing on the wall : Chinese and Japanese immigration to BC, 1920 / Hilda Glynn-Ward. As one of its signature programs throughout Metro Vancouver during Asian Heritage Month, this exhibition showcases Asian-Canadian artists’ creativity and vitality. This year’s displays of 3D art spotlights features artists Jong Jin Lee, Evan Leung, Ping Wong, Ilsoo Kyung MacLaurin, and other UBC AHVA students. The highlight, which notes artists from a Pan-Asian cultural spectrum that stretches from the Middle East to the Far East, is to cultivate the appreciation of visual arts among youths as well as to stimulate inter-generational interaction and learning. In addition to the displays located in the Irving K. Barber Learning Centre, a simultaneous exhibition will be presented at the Asian Centre Auditorium from May 20th – May 27th. Jong Jin Lee was born in Seour, South Korea in 1971 and immigrated to Canada in 2008. He graduated from the department of Sculpture and Seoul’s Hong-Ik University in 1997. His professional artist life started in year 1997; he participated in 7 solo exhibition and more than 60 group exhibition in Korea. 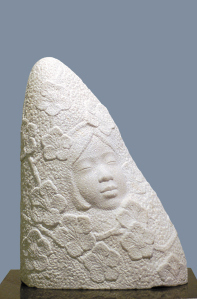 After moving to Canada, Jong Jin continued to design sculptures with passion and participated in Korean Artists Association exhibition from year 2008 to 2012. He also shared his talent and skills by teaching students and had an exhibition From Across the Ocean at the Centennial Museum in Fort Langley in 2010. 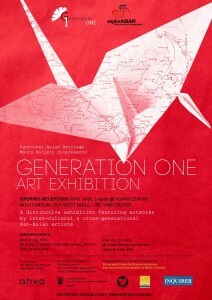 He was the president of Korean Artists Association in Vancouver between 2010 to 2011. Evan Ting Kwok Leung was born in Hong Kong in 1977. Growing up with an artist father, Evan has been exposed to the arts and for as long as he can remember. During his secondary school period, he was fascinated by the potential and creativeness from pottery and ceramics. 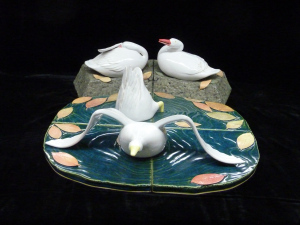 From 1995 to 1999, he learned further ceramic skills from an active potter, Ping-Kwong Wong, in Richmond, BC. Since 1998, he has been participating in certain solo and group exhibitions in Canada, China, Hong Kong, and Taiwan. Later on from 2001 to 2005, according to the passion and interest of Ting Kwok, he studied varieties of visual arts theories, mediums and techniques at Kwantlen University College and Emily Carr Institute. 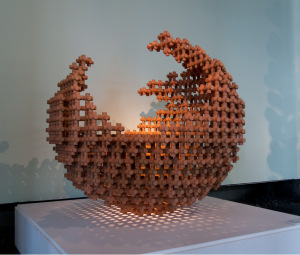 Recently, his artworks have been selected in a few juried art exhibitions of ARTS 2010 – 2012 with Honorable Mention award, 2010 Tea Ware by Hong Kong Potters and 2012 Taiwan Ceramics Biennale Exhibition which the artwork is under the collection of New Taipei City Yingge Ceramics Museum in Taiwan. Ping-Kwong Wong was born in China, moved to Hong Kong in 1956, and settled in Vancouver, Canada in 1994. Wong studied art education at Sir Robert Black College of Education, and Grantham College of Education from 1969 to 1972 in Hong Kong. He studied studio ceramics at Hong Kong Polytechnic from 1981 to 1983. He graduated from University of Wolverhampton, U.K. with B. Ed degree in 1992. He studied the ‘Adult Education Instructor Training Program’ at the Vancouver School Board, B.C., in 1995. He has participated many exhibitions in Hong Kong, Macau, Taiwan, Japan, United States, and mainly in B.C., Canada since 1995. He was the recipient of the Hong Kong Urban Council Fine Arts Award (Ceramics) in 1987. Now he is a studio potter and ceramic art instructor. Ilsoo Kyung MacLaurin immigrated to Canada in 1967 as a Registered Nurse. Retiring after 30 years of service, she studied fine arts and received her Bachelor of Fine Arts at the University of British Columbia in 2006. She is a member of the South Delta Artist’s Guild, the Delta Arts Council, the North Vancouver Artist’s Council and the Surrey Artist’s Council. This particular installation depicts an element of Ilsoo’s past. As with many of her works, it is grounded with in the natural world and visual visual appeal is at its roots. Ilsoo pays special attention to detail, structure and form; however behind this scene can there be more meaning? These dancers stir and spread the awareness of a past, which will allow the viewer a glimpse of the challenges that we must face together as a society. In her works, Ilsoo addresses the question of cultural identity and, in the process; a new synthesis is emerging through her own individual practice of creating art. Please let us know what you think of the art exhibition by using our virtual feedback form.